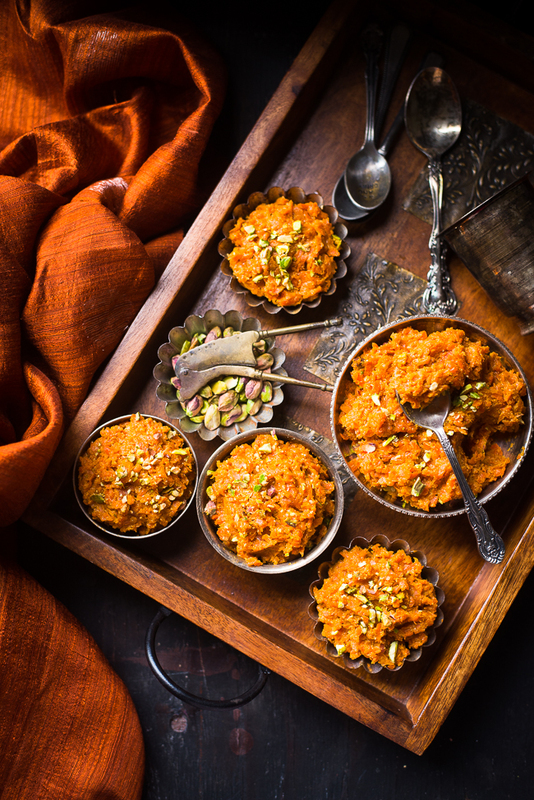 Gajar ka halwa which is also known as gajrela is a popular dessert in most regions of India during winter months when the juicy red colored carrots are fresh in the market. This is believed to have originated from Punjab. Halwa is an Arabic word meaning sweet/pudding and Gajar in Hindi means Carrot. 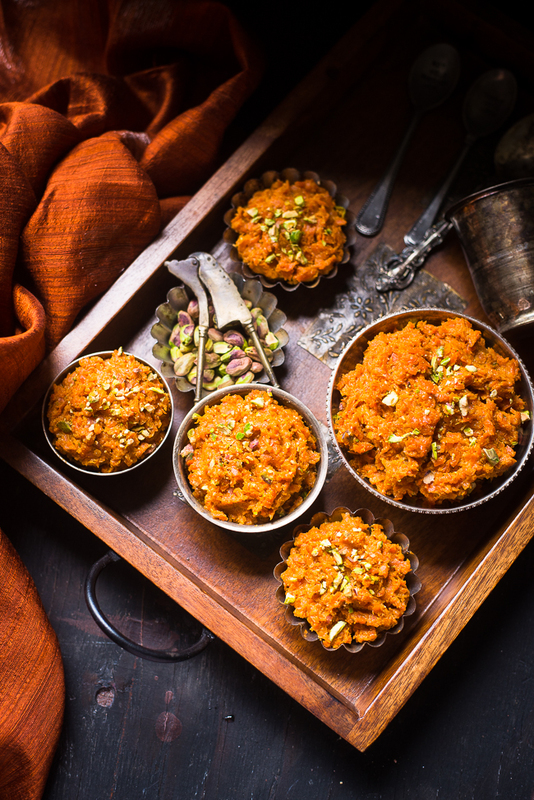 So Gajar ka Halwa is simply a sweet dish made out of Carrot. In India, several types of halwa are made with a variety of vegetables depending on their availability. 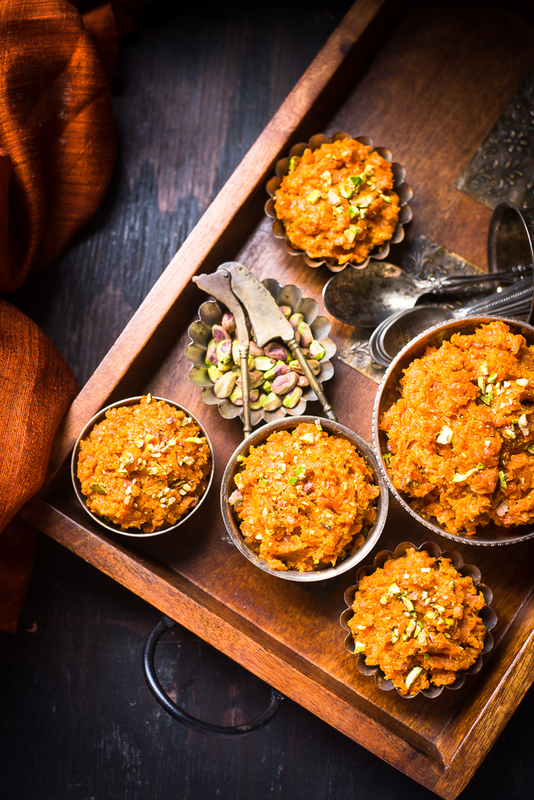 In Carrot Halwa, shredded carrots, milk and sugar are slow-cooked until they turn into fudge like consistency. In India, there are two types of carrots are available. 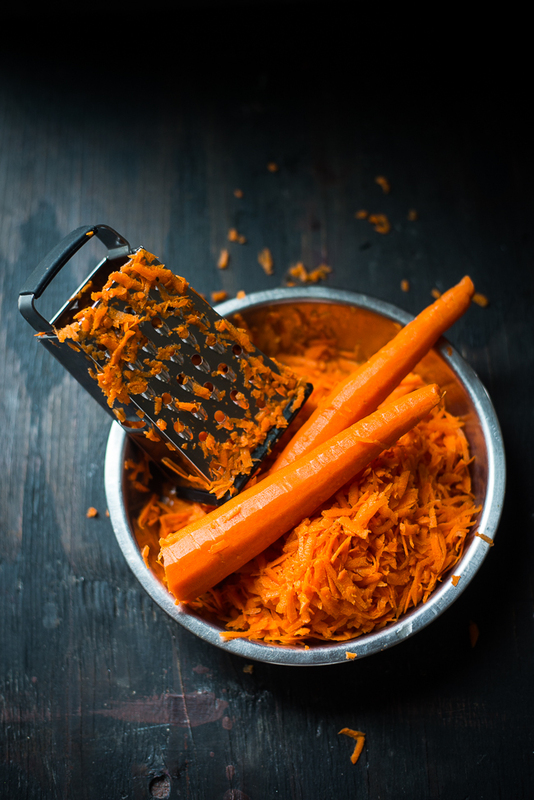 We generally use the red carrot to make carrot halwa as they are tender, sweeter and juicier. But you can use the regular carrot too if you don't get that red one. But make sure they are not fibrous. 1. Take a frying pan, add ghee. Melt the ghee on medium heat. 2. Add shredded Carrots and stir-fry it. Once the carrots become tender and the color changes, add the milk. Stir and cook until the milk dries up. 3. Add the sugar and cardamom powder. Cook another three to four minutes until halwa turns into fudge-like consistency and it starts to leave the side of the pan. 4. Garnish with roasted cashew nuts or slivered almonds or chopped pistachios. Serve warm.